Download this 5 design svg set and use for all your crafts, traditional or digital! ​Sign up below to receive all of TSR's latest updates, and you'll also get this 5 design SVG state set sent right to your inbox! You can use these svg files on your svg compatible electronic cutting machine, or in compatible designs software to create your own digital art! Completely editable! 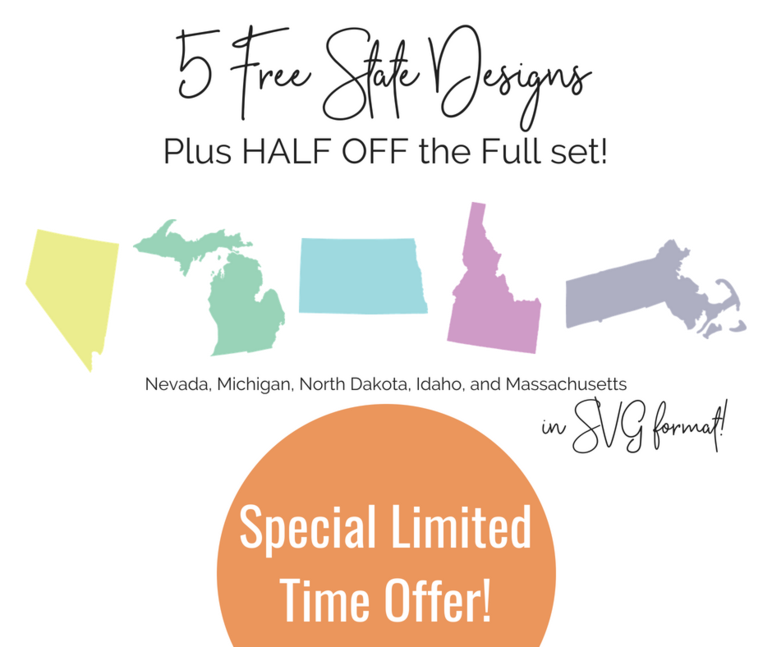 You'll also get a special one-time offer to save HALF off the full set of your choice -- the 51 design set, or the Ultimate State SVG Design Bundle with over 220 digital designs!